I'm really excited about getting the Wedo working with Sniff - it seems to be a missing piece of the puzzle that makes it easier to get in on the fun of physical computing without having to wire stuff up, or worry about class 6B shorting out the GPIO on all your Pi's! One of the really useful parts - perhaps one of the most culturally significant of its day is the discovery of the pendulum. A pendulums period depends on its length, and NOT its mass. That let people build clocks, and measure time accurately - without the pendulum there'd be not time keeping, which rules out accurate navigation (remember the original Longitude prize? ), pretty much any kind of science (cause we're always measuring how long things take), no school time tables, and no iWatch. I'm sure you could integrate this into a wider cross curriculum activity about time and timekeeping, but for now lets get back to the experiment. The code is equally trivial. If we ignore the timer code for now, we wait until the sensor is reading one indicating the sensor is tipped forwards, then wait until it leaves that region. At the moment the sensor stops reading 1 we print out the time since we started, then go back ground, and wait for it to happen again. It turns out to be pretty accurate - our makeshift pendulum is accurate to within a few hundredths of a second. Using the internationally recognised standard of unit of measurement : the Lego Stud, out arm is 49studs long and has a period of 1.2 seconds (give or take about 2 hundredths of a second). Taking out 2 of the bars gives us a length of 27studs, and a pretty reliable period of 0.9s. Where T is the time period, l is the pendulum length, and g is the gravitational force which on earth is 1226studs per second squared (you may be more familiar with the metric version of 9.81 m/s/s). But there's another way to spin this - I knew T and l, and I looked up g (then converted it to Lego). I used that to check my experiment. My experiment was how accurate is a lego Wedo pendulum at keeping time (pretty good!). But there's something in that equation that we actually might not have known: g. It's been pretty well measured and documented, but when did you last check? We can rearrange that equation, and using 49studs and 1.2 seconds we get g=1343studs/s/s (or 10.7m/s/s). That's about a 10% error, which considering the pendulum equation is only an approximation, and we build it out of Lego, that's pretty amazing. WE JUST MEASURED GRAVITY WITH LEGO! Unless you're a primary school teacher you've probably never heard of the Lego Wedo. We hadn't either, which is a shame because they're actually really cool. Everyone loves Lego, but as you've probably noted in the last few posts, Lego EV3 is expensive and quite hard work to get started with. I know of one local high school where the design and technology team went with regular Lego Technic's Power Functions motors, as the PF components are about half the price of the equivalent EV3 components. They can build machines, and power them much more cheaply than an EV3 setup. The downside is of course there are no PF sensors, and you can't hook them up to a computer. There it is Lego 9580. Look at those bricks at the front... They're Power Functions, but not as we know them. There's a PF "M" motor, but on the right is the WeDo USB hub... That's right - it plugs into any computer, and replaces the PF battery box, so you can drive motors from the computer. But look what else - that's a tilt sensor, and an IR range sensor!!! All PF compatable. We why have't we heard of it? Well as the ad's used to say "remember, Lego Wedo isn't available in the shops!". It's Lego education, which means its expensive and hard to find, but its out there (and its on Amazon!). Expect to pay around £120 for the set. Alternativly if you shop around, you might find the components available separately - the HUB costs about £35, while the sensors are £15-£20. £70 for the "cool parts" isn't cheap, but its cheaper than the equivalent EV3 kit. 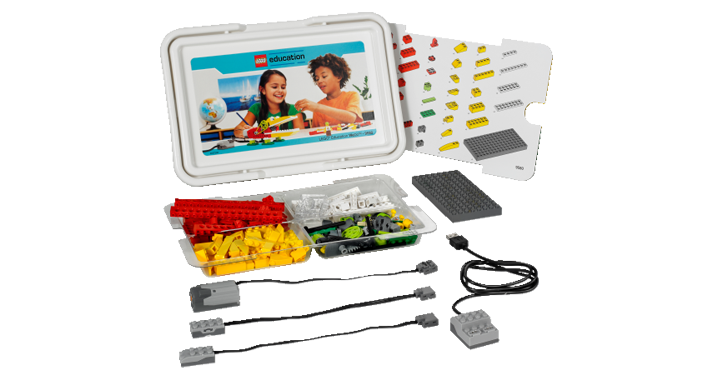 The Wedo is targeted at primary school children, with some simple to use software (not included and another £70!) that lets you build, and control mini-machines. While its expensive, a lot of work has gone into supporting lesson plans and kids will go crazy for it, so its probably good value (ironically my daughter came home from school the same day my Wedo arrived, raving about how they were doing a new exciting project at school - they were using the Wedo!). The good news is that the Wedo works in Scratch, so you can introduce kids to the Wedo there, and get them building. When they move to Sniff, its probably a good idea to revisit some of their Wedo projects again, and rework them in Sniff. To get started you'll need to hook your Wedo up to a Pi, or generic Linux machine [Update: It works great on Windows and Mac now too, though wedoScan is Linux only]. Then run the Sniff setup file, and you should be able to type "wedoScan" to find and interrogate your Wedo. It should report something like the above. It also turns the motors off which can be handy! If it doesn't report the connections correctly, run it again after a couple of seconds - the hub can report incorrectly if the motors are/have been running, and a recscan usually fixes it. Start by making a wedo device. If you like you can use the HIDraw number that wedoScan found (usefull if you have several hubs! ), or simply let the device find the hub for itself. We adjust the speed variable, and then select the connector, and value we want to send. For a motor wedoValue should be between -1 and +1, with 0 being stopped. Now for the really exciting bit... This works on Linux...The Lego EV3 runs linux... In principle it should be possible to run this on the EV3, and connect the EV3 to Power Functions using official lego blocks!!!! This is something of a holy grail in the EV3 forums. However there's a catch - the standard EV3 linux distro is quite old, so you'll need to update it to something that supports "HIDraw" (a way of accessing USB devices). Lego may provide this in a future update, but if you're prepared to go a little "of grid", you could try installing the ev3dev, or LeJos firmware, and try it! The code in this post is in the Sniff/examples/Hosted/wedo folder. You can also find the source for wedoScan (and ev3dude) in Sniff/utils. We've been working crazy hard the last few weeks to get a lot of new features into Sniff. The new build now supports EV3 over bluetooth. We'd still recommend having a wifi adapter as that lets you telnet into the Brick, and run programs directly but using the ev3dude program we developed you can now transfer programs to the Brick using only bluetooth, and once you've installed the sniffMenu program you can run Sniff programs straight from the Brick's onscreen menu. We also discovered one of Lego's best kept secret products - the Wedo! This lets you connect Lego power functions bricks to a computer via USB. We've figured out how it works and added support for a Wedo Sniff device - it works great on Raspberry Pi, and we'll post a longer post about it asap. However the big change is under the hood. Previously devices worked like code libraries - you imported them once and used them. However now they're more or less real objects - each time you creates a new instance, for example you can hook up as many dht11's as you have pins. You can even hook up multiple Wedos! You can download Release 10 now! (We've also given up calling them Beta releases - Sniff works. We'll still be evolving it, but its now a stable and fully operations system). To get access to the Unix shell on the EV3 you need a WiFi adapter. That's sort of OK, but only 1 adapter is supported, and its quite large. If you don't have one, you don't have access to a WiFi network or perhaps you've simply put the EV3 somewhere a the adapter isn't going to fit, then you can't get a shell, you can't use SSH and you can't transfer files. However the EV3 has USB and Bluetooth built in. The problem is that they only supports the proprietary protocol used by the Lego Software. A couple of people have built tools to work with it, buts what's needed is a generic, and simple command line tool that lets you transfer files to the EV3. 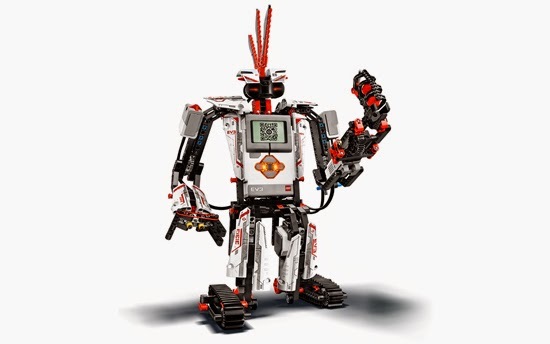 Well here it is and its called ev3dude! Firstly you need to pair your computer to the EV3 over Bluetooth. As my only bluetooth machine is a Mac, I've built and tested on that, and when you pair it creates a file called /dev/cu.EV3-SerialPort. The name will change if you've renamed your brick to something other than EV3, but it'll be something like that. (or whatever your device is called). The formatting is a bit funny, as the EV3 sends md5 hashes of the files, along with their size and name, but the info is pretty clear. That's it! Simple and clean EV3 file transfer. It should compile without any serious issues on any Unix (let me know if it doesn't!). You're free to use and modify the code as you see fit, but please send back any changes/improvements/bug fixes so we can make this a better tool. Combined with the Sniff menu system described in the last post we've got a mechanism for installing and running Sniff code on the Brick without WiFi. It'll be fully integrated into Sniff in the next release, but for now you can use ev3-sniff to generate the binary, and transfer it manually with ev3dude. You can download ev3dude.c here. In a previous post we discussed how to get a C program running on the Lego EV3, as a working C toolchain is prerequisite for running Sniff. It's quite a hassle to set up, and to get the EV3 running nicely is a bit more of a hassle, but once its set up it's a pretty nice platform for running Sniff on. The new release (Beta 9) supports the EV3, though so far it only supports the buttons, LED's and the screen. Support for motors and sensors will be forthcoming in the next releases, as and when I can get my hands on the relevant devices. Once you've installed the C compiler, and the new Sniff release on your host machine, there's a couple of things you need to do to make everything work. or whatever the IP address reported is, to tell the system how to find the Brick. Now go back to your Mac or Linux machine and you should be able to compile programs using ev3-sniff, just as you would for any other platform. When you compile a program it will be placed in the Sniff folder on the memory card, and you can run it from the telnet session. However if you want to use the keypad or the screen your program will "fight" the LMS/EV3 user interface, and it'll be a bit of a mess. It also means you have to have another machine, and a WiFi connection which might not always be possible. You can run this from the Bricks on-screen menus. When you do it will try and run a Sniff program called sniffMenu. You'll find this in the same folder. If you simply compile that it will install on the Brick. sniffMenu lists all of the installed programs in the Sniff folder, and lets you choose one to run, so now you can compile the program in your desktop machine, and run it easily on the Brick. SniffMenu is pretty primitive at the moment, but its written in Sniff, so you can make a better version! Currently there are two EV3 specific devices: ev3lcd and ev3Keypad. There are examples of using them both in the Sniff/examples/EV3 folder. Basically ev3lcd behaves in the same way as all the other display devices. ev3Keypad mimics the Gambuino keypad. However the setBacklight uses values 0-9 to represent different patterns and colours, rather than adjusting brightness. Fortunatly 0 is off and 1 is sold green so the results work fairly consistently cross platform. To test these there's a version of Bounce Out - our favourite game written in Sniff, running on the EV3. The only changes from the Arduino version is to comment out the Sound player, replace Arduino devices with their EV3 equivalent, and add a scale factor so that the game is sized to fill the EV3's larger screen. Things are a little hard to see on the small screen (and the "standard" 5x7 font is a bit small! ), but it generally works great. The one thing to remember if you're running from the EV3 menu (rather than telnet'ing in from your computer) is that your program needs to end, otherwise it will run forever and hang the EV3 (you can still connect by telnet, use ps to find the offending program and kill it)! There's an example in the EV3 examples folder which shows how you can make your program quit when you hold the back button for 1 second. Also remember that "say" and "ask" will only work from the telnet session. Release B9 is a bit of a special one as it is the first version of Sniff to run on the Lego EV3. We've even changed the banner text at the top of this page to celebrate! You can compile Sniff programs on a Mac or Linux machine, and run them on the EV3. There's also a little menu program which is written for the Lego VM(lms2012) which allows you to run installed Sniff programs directly from the EV3's onscreen controls. It's especially sweet that a big part of that is written in Sniff, so you can improve it! There'll be a full blog post later today with a step by step explanation of working with Sniff on the EV3, including installing the onscreen menus. The EV3 device support in this release only includes the screen and keypad/led's, but we'll be adding support for motors and sensors as soon as possible. This release also includes the Studuino support we've previously posted about. You can download then release here. Then a few days ago I found a few EV3 bricks for £75 on Ebay... While the full EV3 robot kit would be nice, I do already have quite a lot of lego (I mean my kids have quite a lot of lego! ), and I'm really interested in the programming side of the thing (honest!). I can pick up a few sensors and motors as I need them for about £20 each. So having got my hands on an EV3, the first stage of getting Sniff running, is getting C programs running. While you'd think this is pretty easy, the resources out there can be pretty confusing (to be fair the EV3 is still pretty new, so a lot of users are transitioning form NXT, so there's jumble of info on the different systems). The best resource is www.robotnav.com. However as setting this up is going to be a pre-requisite to any Sniff system, here's a walk through of setting up a Mac or Linux box as a dev platform for EV3. Lets get the ARM tool chain up and running on a generic Linux. Similar libs will exist on your preferred Linux. I used Centos for testing, not because its good, but because its so far behind Debian and Ubuntu that if it works on Centos it'll probably work anywhere! While the EV3 supports communication over bluetooth and usb, the only way to get directly into the Linux side of the EV3 is to use WIFI. You'll need to get hold of a Netgear WNA1100 wifi dongle. Nothing else will work. You may or may not be able to get them officially from Lego (at Lego prices), but ebay will get you one for less than £10 (While you're on Ebay pick up a microSD card too). Plug in the dongle, and turn it on from the bricks settings menu. You'll also need to select the network, and enter any passwords. You can also configure and set it up from the Lego desktop software (having connected the brick via USB), which is probably easier. From the Brick's "Brick Info" screen you should be able to find the IP address (something like 192.168.1.123). Alternativly you can download my EV3 Finder. Run it on your computer and it should print out the addresses of any EV3's on the local network. This serves as a handy check that everything is working. (or whatever your number was). log in as root (no password!). At this point you'll find a pretty generic, embedded Linux installation. Once you've got over the novelty of poking round Lego Unix(How cool is that!!) Then run "dropbear" which starts ssh services, so we'll be able to copy programs onto the EV3. And that's it - we've got a working development system which lets its compile C code, and run it on the EV3. From there its a few minor tweaks to take Sniff and get it running. The current state is that the Sniff core system is running fine, with support for the buttons, LED's and Screen. Bounce Out is running nicely! I'll post a release "real soon", so you can get started. Motors and Sensor support will follow after that.